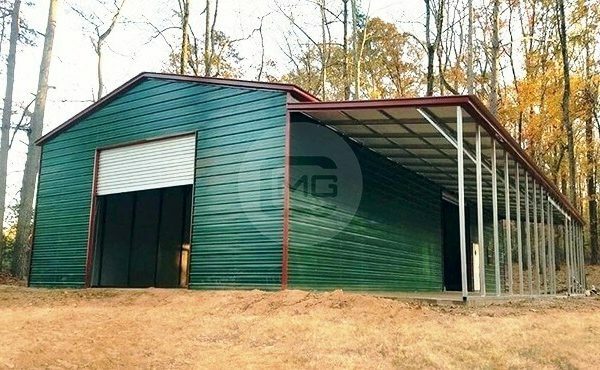 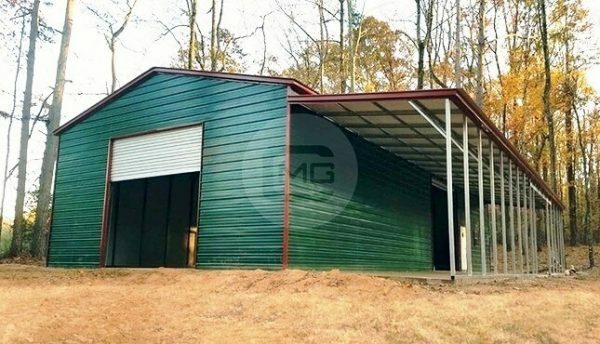 Featuring a 36×70’ Prefabricated Workshop with Lean-to extension – This prefab workshop has a clear span enclosed storage of 1680 square ft. With an attached lean-to shelter covering 12’ width and 70’ in length. 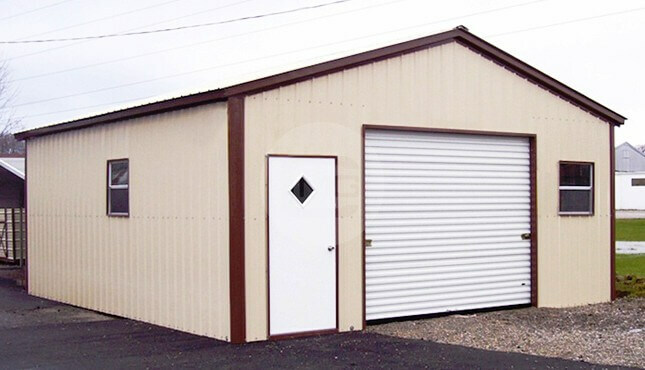 This building has a good clearance of 14’ feet at the enclosed area which is perfect to accommodate tall vehicles and machinery. 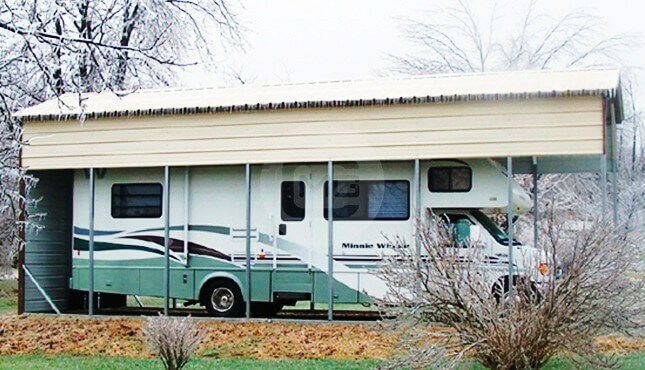 You can also house your RV or Trailer and protect it from the uncertain weather elements, while the lean-to leg columns are 10’ tall. 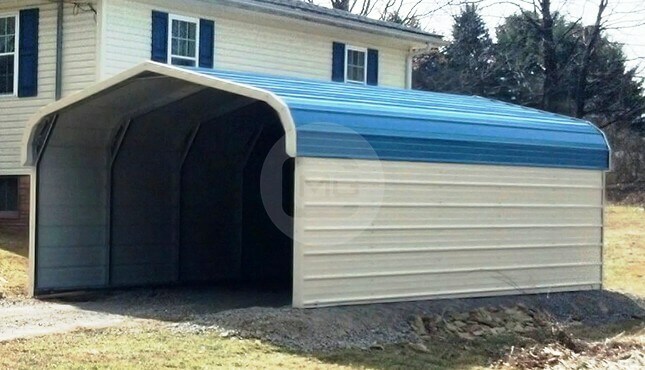 The actual length of the building is 71’ due to 6” overhang on both ends. 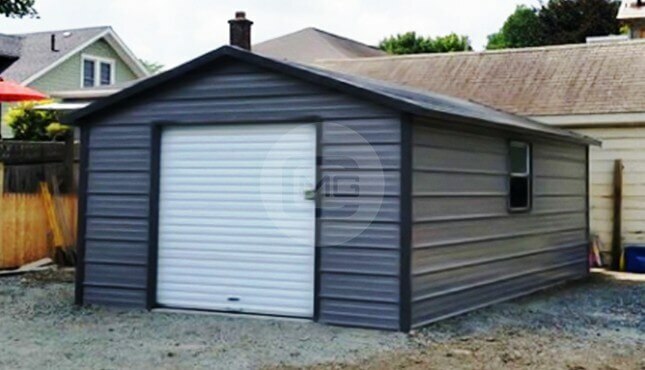 There are two 10×12’ Garage doors on this prefab Workshop, one at the front end and the other is at the lean-to side. 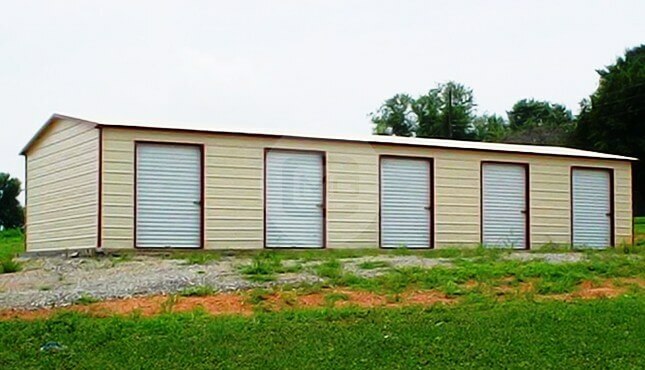 It also has a walk-in door of 36×80” on the side for regular operations. 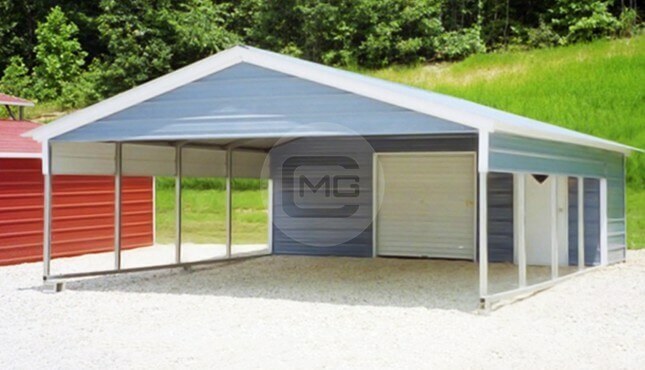 This Workshop with lean-to is strong and certified from extreme weather conditions. 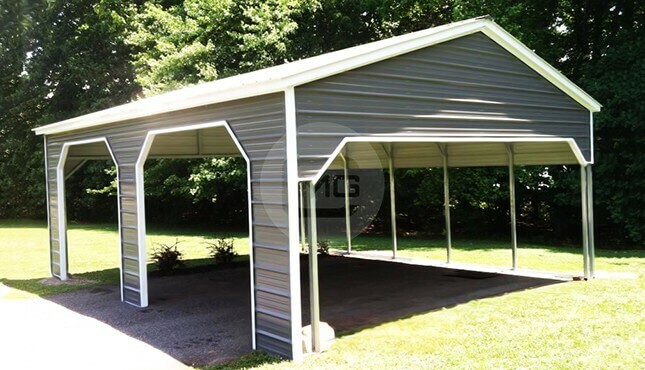 It has more anchors and support braces that give it additional strength to stand strong. 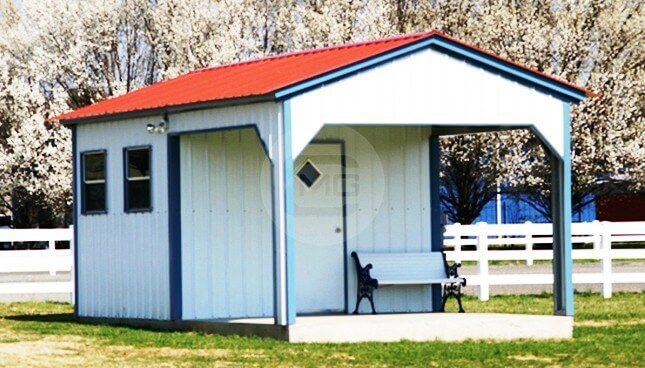 You can get this exact building or customize its size, wall, door and color options to fit your needs.